You reached Everyone adores me, the fanlisting dedicated to Chloé Bourgeois (Queen Bee), one main heroes (and antagonist? XD) of the series Miraculous: Tales of Ladybug and Chat Noir! Chloé is my favourite characters of the series~ ❤ At the beginning she's like the unpleasant character that would do everything for her sake. No, wait... she's still like that! But it's like she's starting to evolve in a better person: she's not evil, it is clear. She's only a spoiled girl who doesn't really understand the meaning of things. 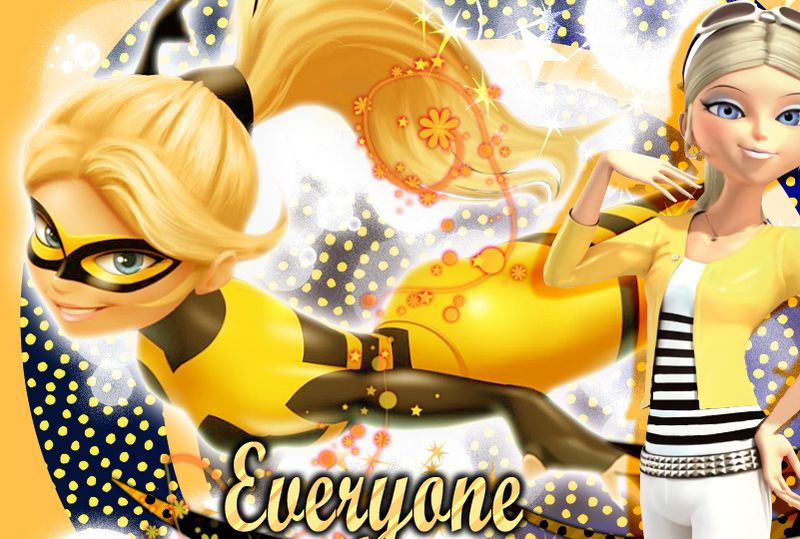 But she really cares about her friend Adrien and the heroine who saved her life, Ladybug. Deep inside her heart she loves Sabrina too maybe... no, I'm kidding, I'm sure of it. After that she became Queen Bee, I'm confident that something changed in her, I'm sure that she just need time~ I really want to know more about her and the reason why she ended up like this, what's wrong with her mother, seriously?! Y_Y Let's wait for more episode of the new Season 3.